NORTHVILLE, MICH (WXYZ) — Looking for something fun to do with the family? 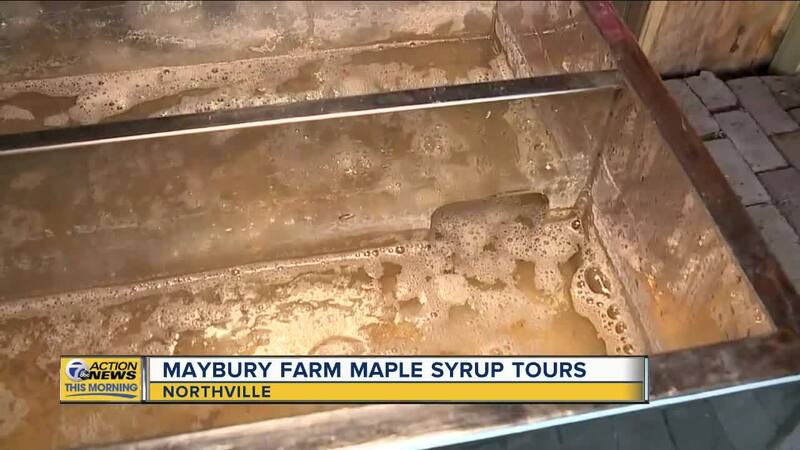 Ever wondered how delicious maple syrup gets made? Well look no further! 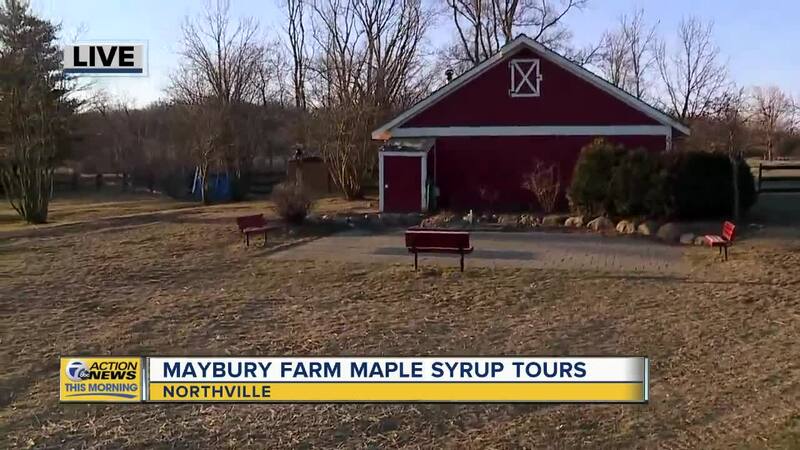 Making Maple Syrup Tours at Maybury Farm are being held now! The Tour begins with a wagon ride out to the Sugar Bush. Once you arrive, you will head into the woods where you will learn about the maple tree, how to tap it, and then collect the sap. You may even get a chance to taste the sap straight from the tree! The wagon will then take you back to the Sugar Shack where you will watch and learn how the sap is converted into delicious maple syrup, how syrup is graded, and also how to try making maple syrup at home. Once your tour is finished, you are invited to warm up in the Maybury Farm Welcome Center where hot drinks and snacks are available to enjoy next to the toasty wood stove. Pure Michigan Maple Syrup is available for purchase and we offer free recipes for you to try with your maple syrup at home. This is a fun and educational experience for all ages and a great farm tour to enjoy with your family! The Making Maple Syrup Tours are held promptly at 1pm, 1:45pm, 2:30pm,3:15pm and 4:00 PM each Saturday and Sunday through March 31. This event is popular each year and space is limited so arrive early to reserve your spot! To schedule a private Farm Tour for groups of 15 or more, call (248) 374-0200. 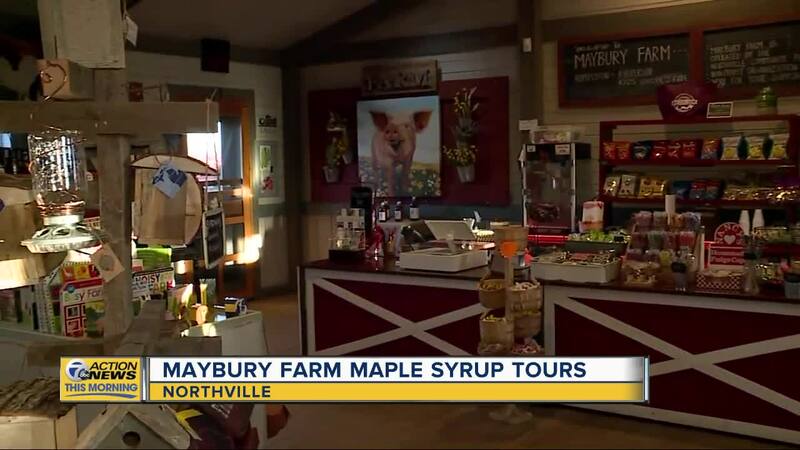 Maybury Farm is located at 50165 Eight Mile Road in Northville. 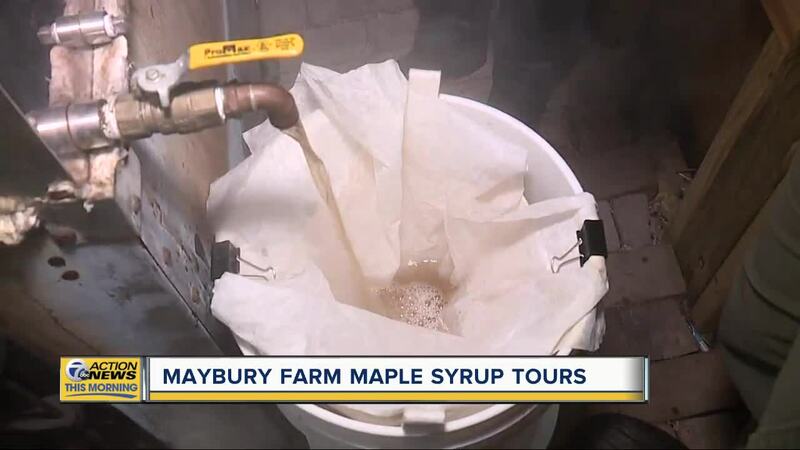 The cost for the Making Maple Syrup Tours is $8.00 per person and children 2 and under are free. Visit www.mayburyfarm.org to learn more!